First foal by Peace and Justice to hit the ground is Super Starlet, out of Movie Starlet, by Flatter. On the racetrack, Peace and Justice never got a square shot to demonstrate his quality, making only eight starts, three of them wins, before being retired. In the breeding shed, however, it looks like he’ll get that chance. Which makes sense. He’s a son of top sire War Front and out of the winning Smart Strike mare Strike the Sky. He’s a half-sibling to a bevy of winners, among them the Grade 2 winner Hudson Steele, who earned over a half-million dollars in his career. And while his racing career was cut short, he showed plenty of talent to excite potential breeders. In his best win, a front-running score in a Santa Anita allowance, he zipped the opening half-mile in 44.55 seconds en route to running a blazing-fast mile on the grass in 1:32.36. 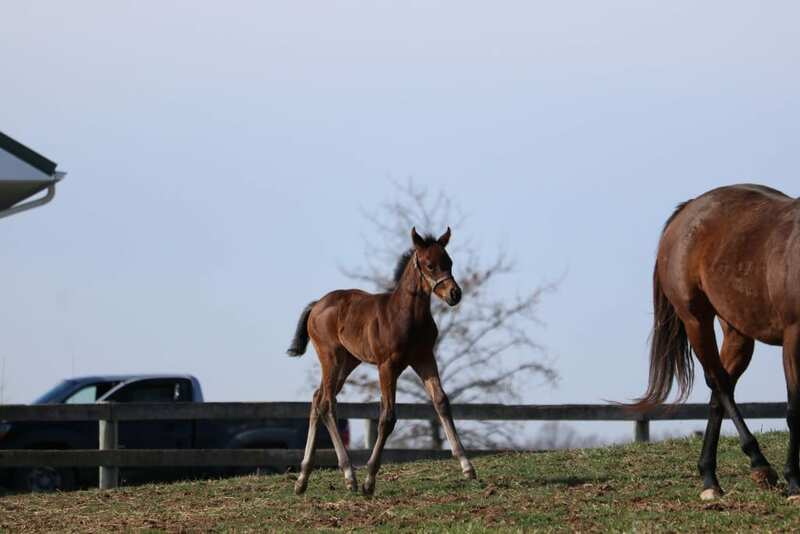 His first foals have just begun to hit the ground, and, say the men, so far, so good. “The ones I’ve seen, you have to be real happy,” Young says, who has two Peace and Justice foals on the ground. Another good advertisement for the horse is the potential bonanza he offers to breeders. Young is offering not one but two $250,000 bonuses to people who breed to Peace and Justice. One of those applies only to foals of 2018, but there’s still a chance to get in on the other. 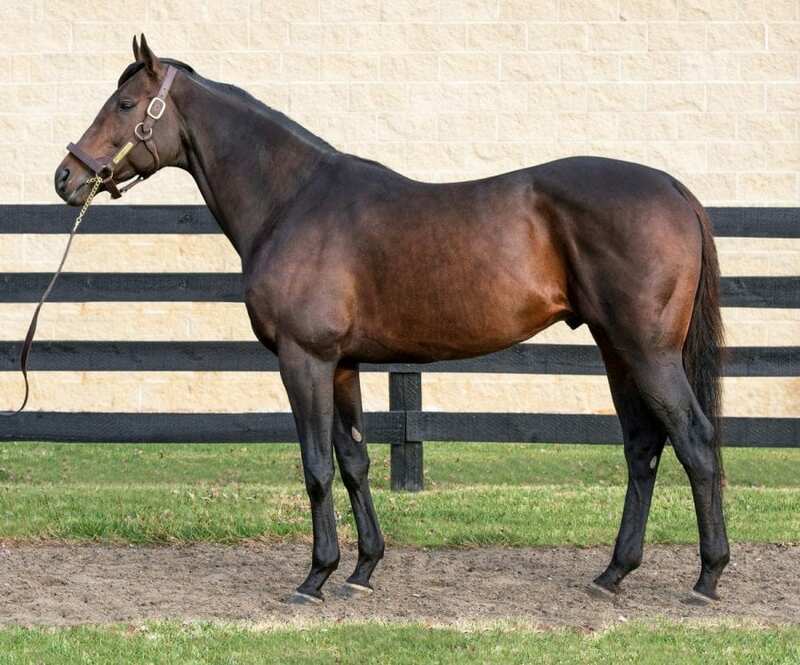 The bonus goes to the breeder of the first of Peace and Justice’s foals of 2019 to win a non-restricted stake between January 1, 2021 and December 31, 2022. Additional conditions apply. “It gives breeders in a regional market a chance to hit a home run,” says Young, and that’s certainly true; a quarter-million bucks can accomplish a lot. Young is confident that when they do, they’ll arrive at the same conclusions he has.